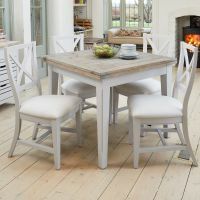 When kitchen or dining space is limited, this superb, compact Signature Extending Dining Table with Four Chairs is the perfect solution. 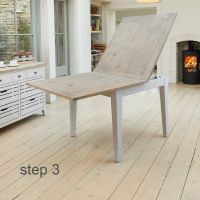 At 95cm square, it will fit almost anywhere but it opens out to 190cm to offer that extra space if you need it. 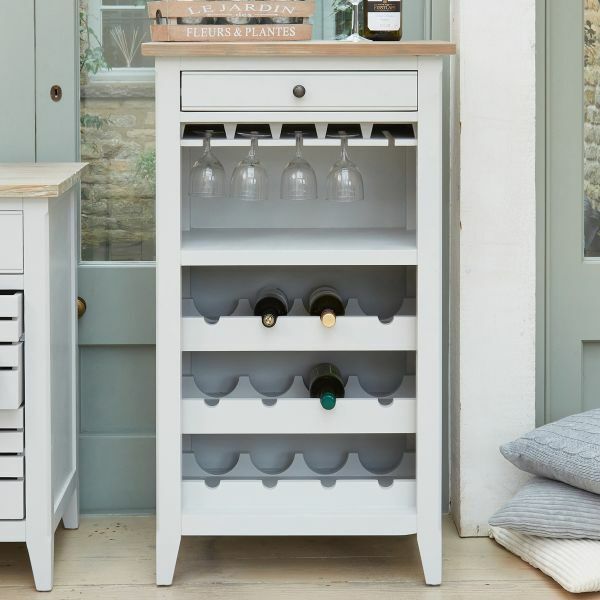 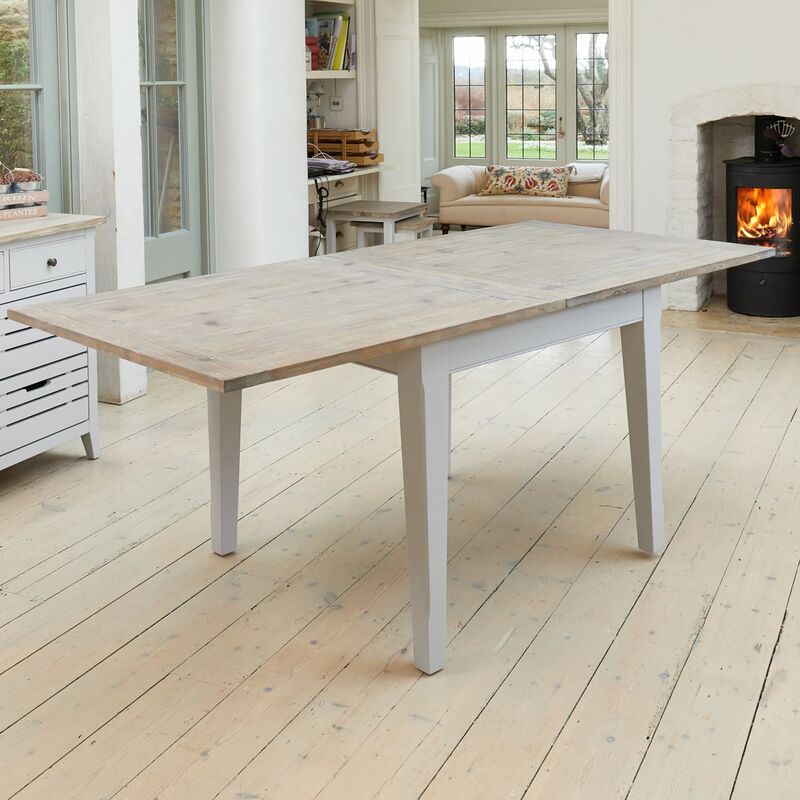 With a contrasting limed top and stylish grey painted frame it looks great as well as being practical. 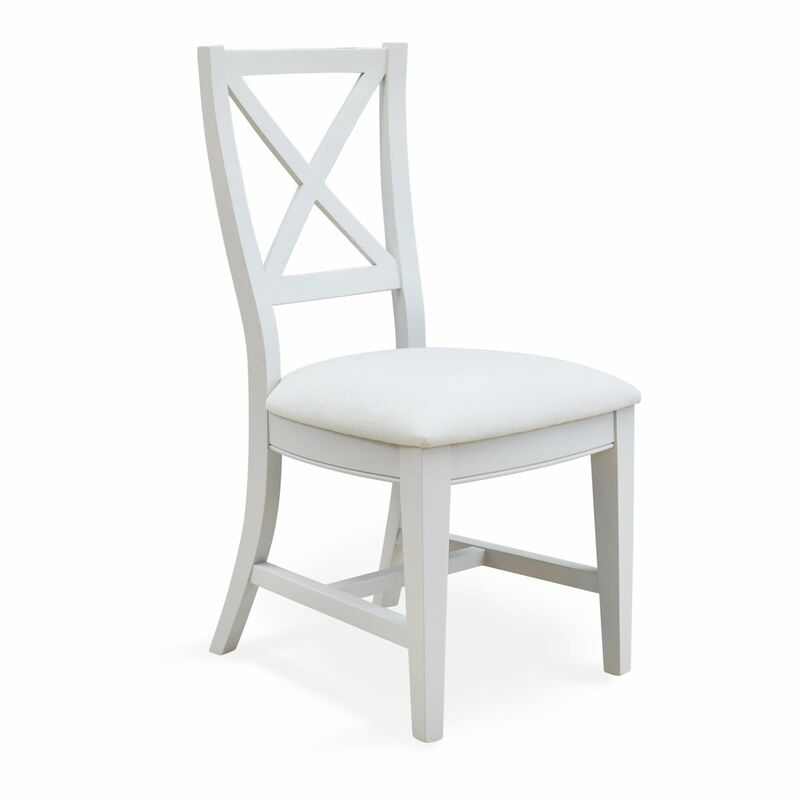 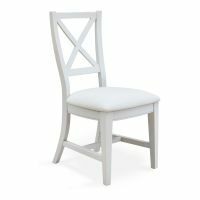 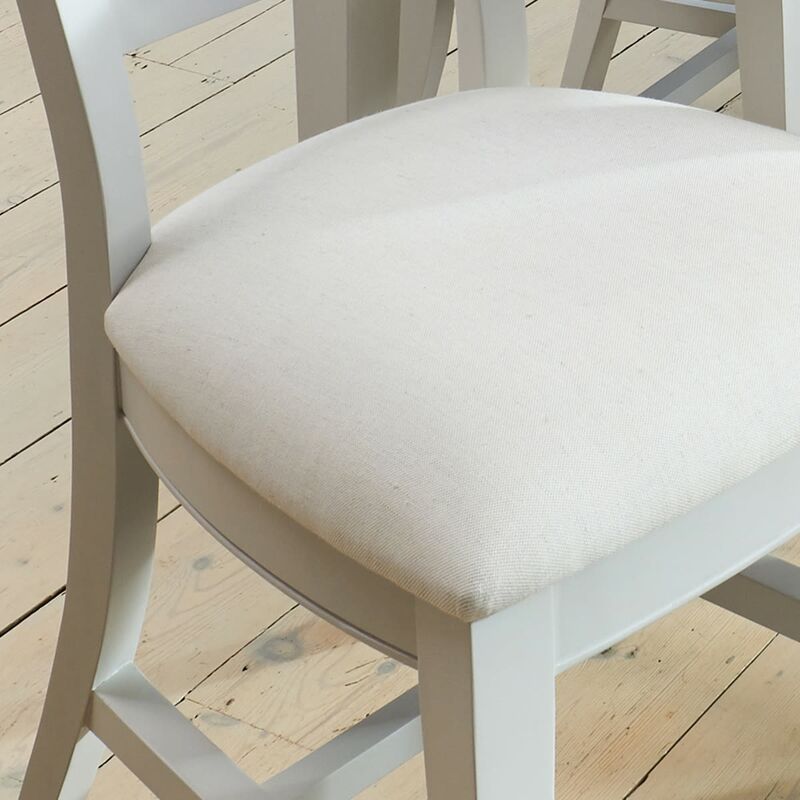 We haven't forgotten about comfort either, as the set includes four handsome dining chairs with crossed back frames and padded linen seats. 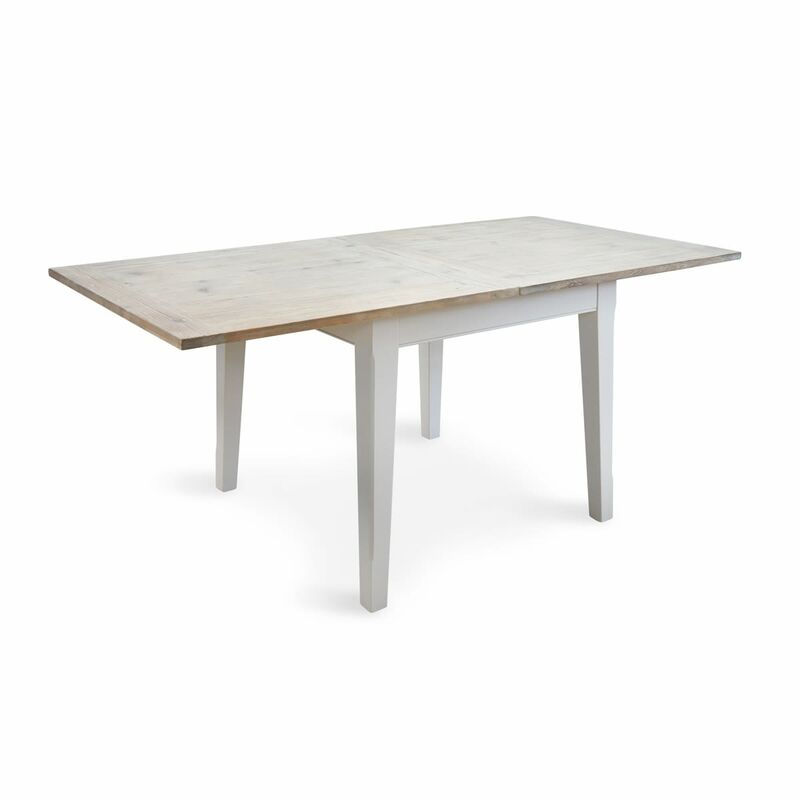 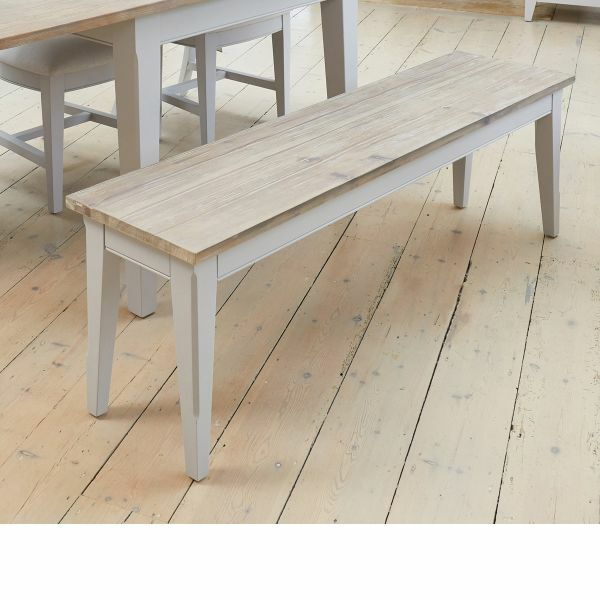 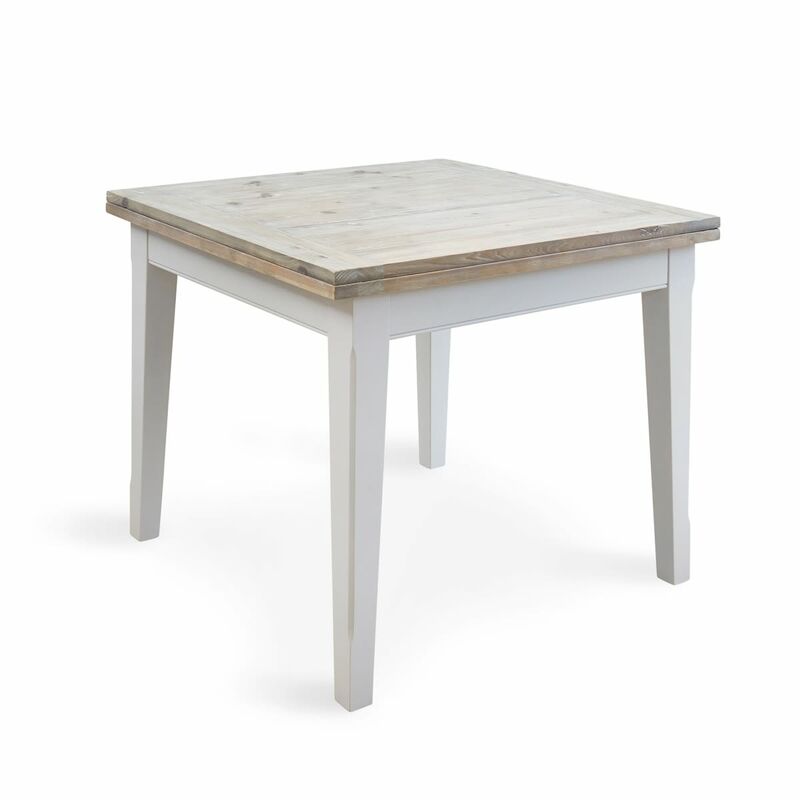 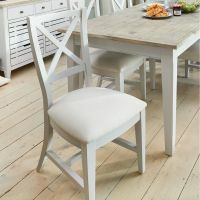 Also available to separately are two size benches for a more informal dining room look. 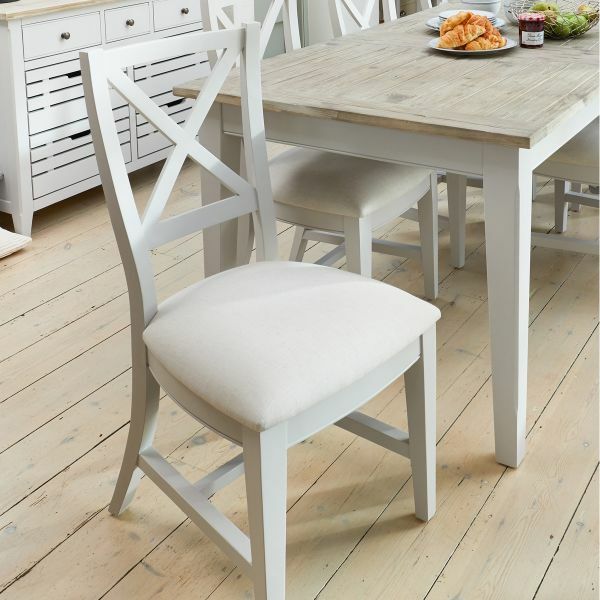 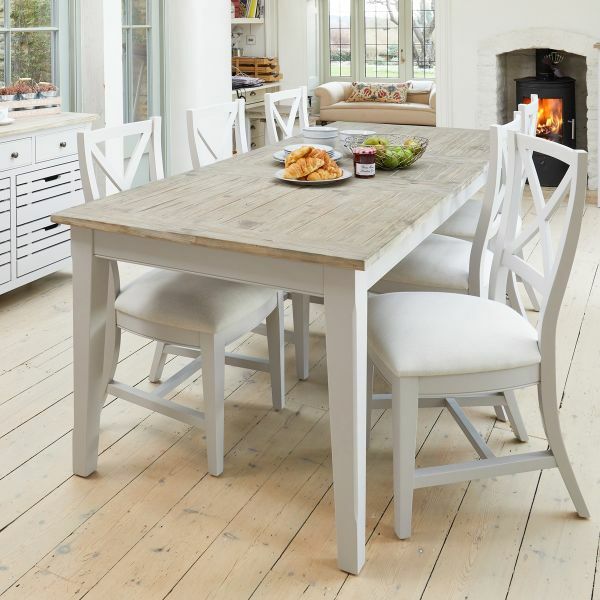 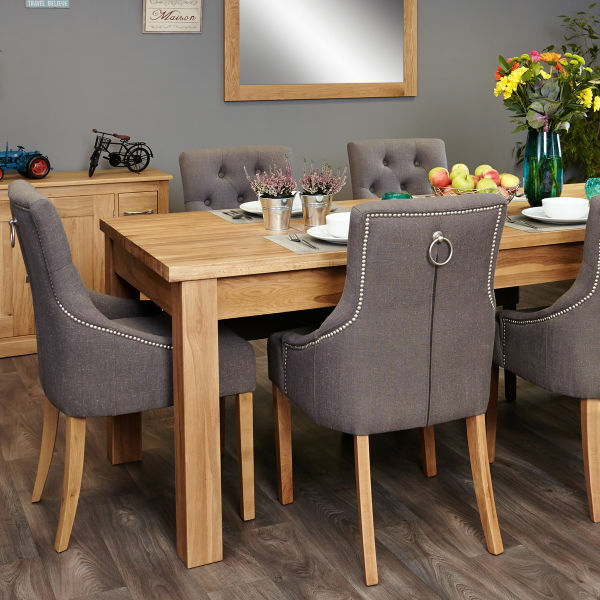 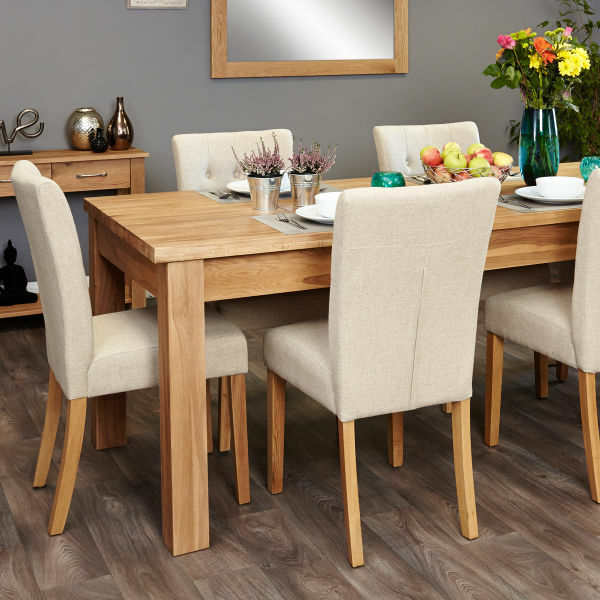 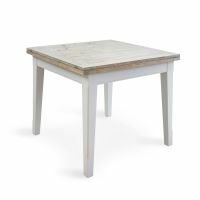 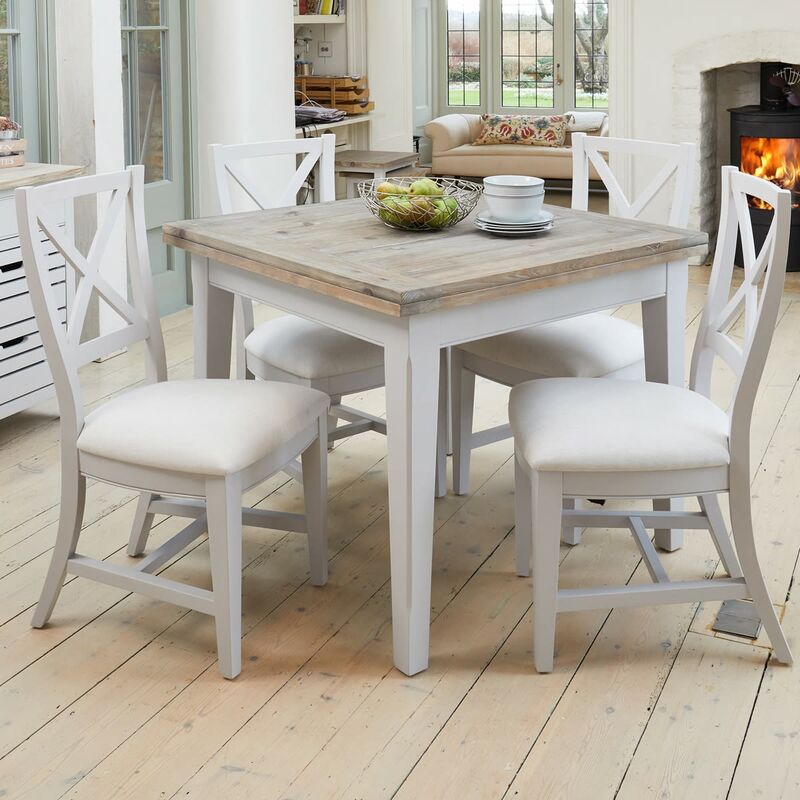 Crafted from solid wood throughout, this handsome dining set is solidly built, requires some minor assembly, is delivered within five working days and comes with a five year manufacturer warranty. 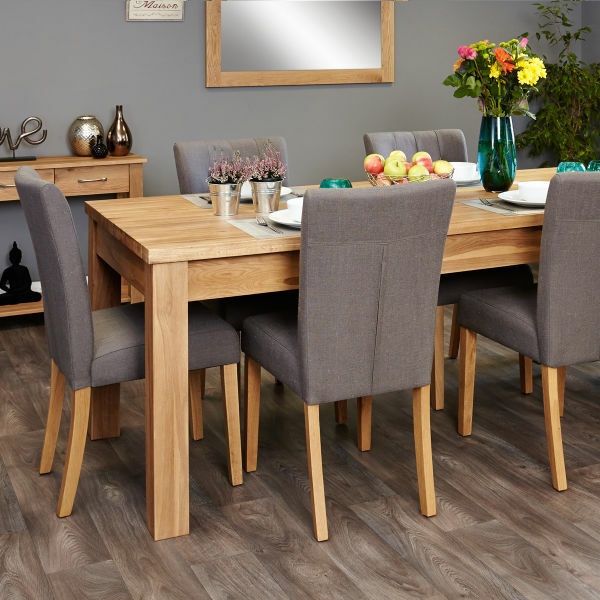 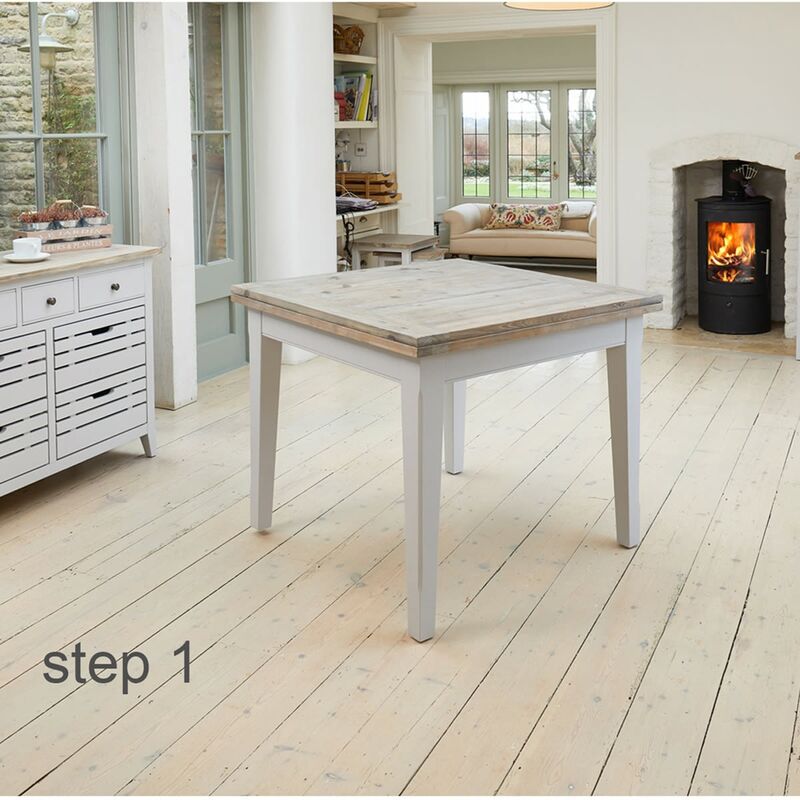 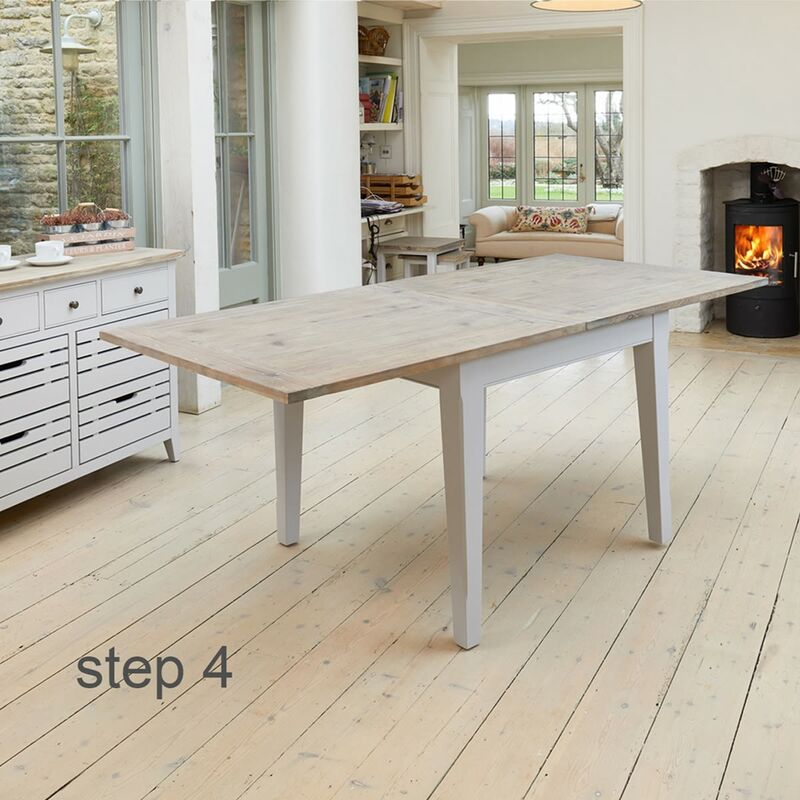 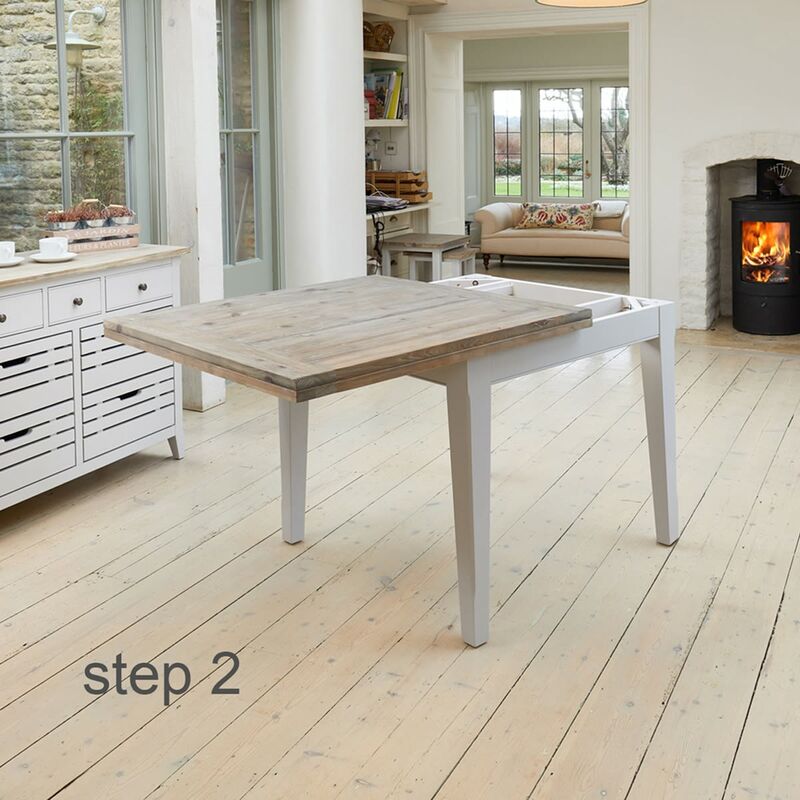 If you're looking for a stylish alternative, why not consider our best selling Mobel Oak range of extending tables?